Britain’s inflation rate rose in July for the first time in 2018, keeping the squeeze on many households’ budgets, but there were signs that the pick-up was a blip and inflation might fall faster than the Bank of England thinks. Consumer price inflation rose at an annual rate of 2.5 percent in July after holding at 2.4 percent in the previous three months, matching economists’ forecasts in a Reuters poll. It was the first time since November that inflation gained pace, slowing the recovery in spending power for consumers. “These figures show that the cost of living squeeze is not yet a thing of the past,” said Tej Parikh, an economist at the Institute of Directors, an employers’ group. Average earnings, including bonuses, rose an annual 2.4 percent in the three months to June, the Office for National Statistics said on Tuesday, extending a long run of pay rises below their pre-financial crisis levels. But economists noted the inflation rise was driven largely by one-off factors, such as a rise in prices of computers games – which are often volatile – and transport fares. The National Institute for Economic and Social Research, a think tank, said its measure of core inflation, stripping out extreme price moves, fell and looked set to bring inflation down to the Bank of England’s 2 percent target within a year. 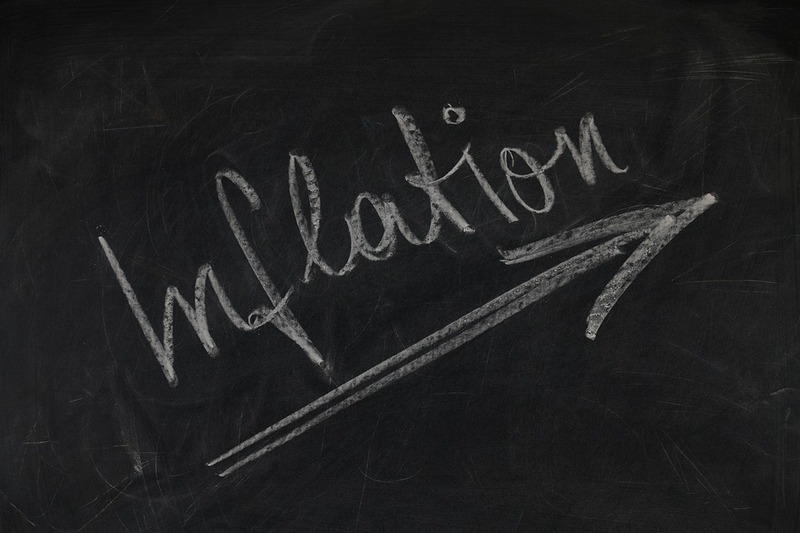 When the BoE raised interest rates this month, it forecast inflation at just above 2 percent in two years’ time. But many private economists think inflation will prove to be weaker than the BoE is predicting. Sterling, which has fallen in recent weeks on concerns about the lack of an agreement on Britain’s leaving the European Union and the weak outlook for rate hikes, fell slightly after Wednesday’s data. The CPI hit a five-year high of 3.1 percent in November, when the inflationary effect of the pound’s tumble after the Brexit vote reached its peak. Another measure of inflation, the retail price index, rose by 3.2 percent, its weakest rise since March 2017. For rail travellers, many annual ticket price increases from January will be set by that reading. There is some pressure in the pipeline for consumers. The cost of raw materials for manufacturers was 10.9 percent higher, the biggest annual rise in over a year, reflecting an increase of more than 50 percent in oil prices. Manufacturers raised the prices they charged by 3.1 percent, weaker than June’s 3.3 percent but slightly above the forecast in the Reuters poll. “With the pressure on spending here to stay, businesses may eventually have to rely on new suppliers as well as new final goods and services to restore margins rather than passing through input prices,” economists at Barclays said in a note. The ONS data also underscored the weakness in the housing market since the 2016 Brexit vote. London house prices fell by the most since 2009, down by an annual 0.7 percent in June. In the country as a whole, house prices in June rose by an annual 3.0 percent, the weakest increase since August 2013. Other house prices measures have also slowed to about half the rate before the Brexit vote, hit by a combination of record high valuations, the squeeze on spending power and uncertainty about Britain’s relationship with the European Union.